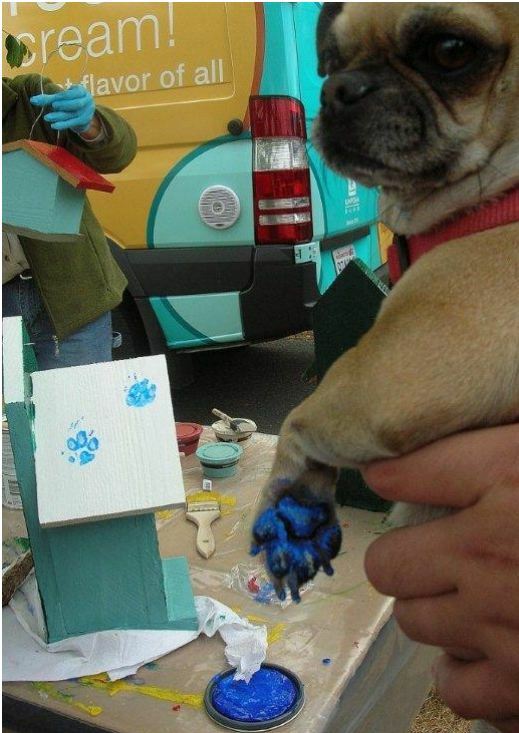 Did your pet miss out on the last “Picture Your Pooch in the Park” event? Was your pet there last time and made so many friends that they’d love to do it again? Well here’s their chance to become the face of the upcoming Off Leash Area. Due to the resounding success of our pet pictures event last month, we’re doing it again. 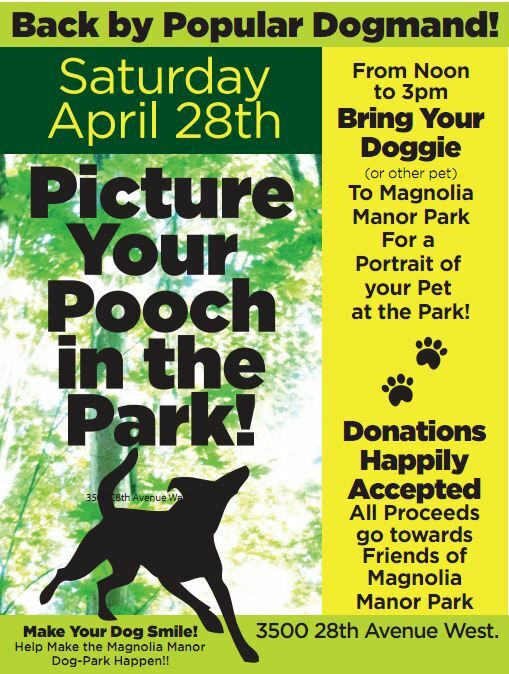 Bring your pooch and other pets out to Magnolia Manor Park this Saturday, April 28th, from noon to 3 to have his or her picture taken. The photos are free, but donations will be happily accepted. All proceeds will go toward the construction of the park’s Off Leash Area. We’ll e-mail photos to the owners, as well as post our favorites to our web site and Facebook page. You may reach LuAnn Mitchell via e-mail using the “Contact Us” form for more information. It looks as though spring has officially sprung around here, and with that comes the Magnolia Springfest & Art Walk. The Friends of Magnolia Manor Park will be taking part this year with a birdhouse workshop. This event was such a hit last year that we’ve decided to bring it back. Come on out for an afternoon of fun for kids, hobbyists, bird watchers, and even pets! Paints and supplies will be available if you’d like to build your birdhouse right there with us, or you may take your kit home. Stop by our table this Friday, April 27th, outside of Umpqua Bank in the Village (at 32ndand McGraw) to build your very own birdhouses. There will be four birdhouse designs to choose from, with suggested donations of $15 dollars per kit. Proceeds will go toward the park fund. For more information, please contact Susan Casey or Melanthia Peterman by clicking on “Contact Us” above. We won! Thanks to all who voted! Thanks to Umpqua Bank! 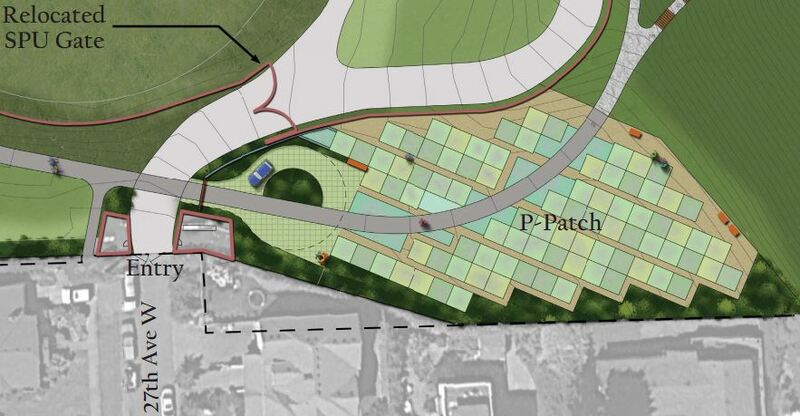 From a field of many submissions, Umpqua Bank chose our Magnolia Manor Park P-Patch tool shed as one of the three finalists for their Build Your Block Challenge. With a $10,000 prize at stake, we need your votes! You may do an in-store vote at the Magnolia branch. All in-store votes must be made in person. No voting by proxy. The winning project will be announced mid-April. Along with the cash prize comes a pledge of volunteer support to help “bring each project to life,” according to the bank’s web site. If our idea is voted the winning project, we will use the funds to purchase tools, compost bins and the tool shed itself. The Magnolia branch of Umpqua Bank is located at 2236 32nd W in the Village.